To begin, I wish to say St. Peter Julian Eymard (I affectionately refer to him as St. PJ), is a straight up “Baller”. For those that do not know what “baller” means, I shall enlighten. According to Urbandictionary.com, a Baller is “A thug that has ‘made it’ to the big time. Originally referred ball players that made it out of the streets to make millions as a pro ball player, but now is used to describe any thug that is living large”. Okay so St. Peter Julian Eymard is not a thug, but I would like to say he is a small town kid who grew into what I believe is one of the greatest Saints of Modern Times. I believe that he is one of the loudest and most captivating voices of Eucharistic Spirituality in the history of the Church, to be ranked among the greats like St. Thomas Aquinas (who wrote the famous Eucharistic Hymn the Tantum Ergo). Since this is considered the Month of the Holy Eucharist, what better Saint to place before you awesome readers than the most Eucharistic Saint I know? 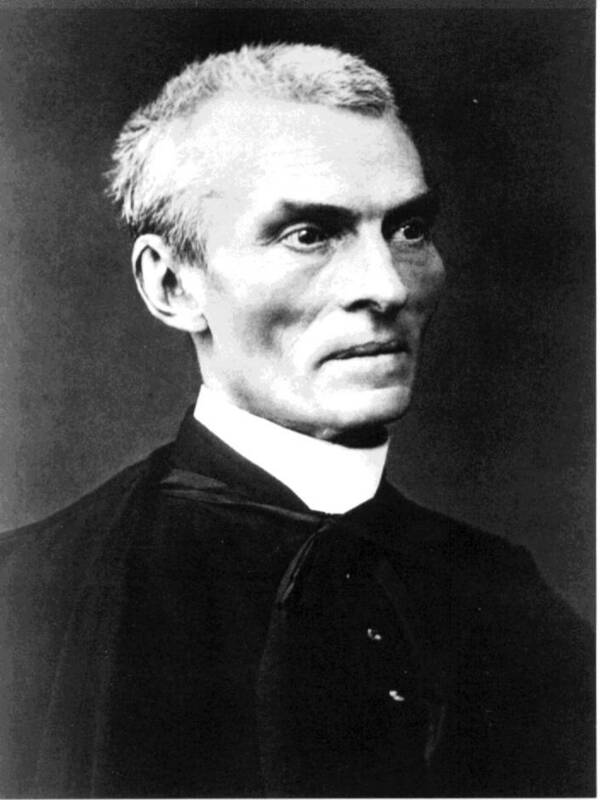 St. Peter Julian Eymard was born on February 4th, 1811 in La Mure, France. He grew up in a poor family in Europe after the French Revolution; a time incredibly hostile to Catholics. As always, true Saints are raised in times most needed by them. We do not know too much about his childhood. A little known story about the young Eymard was when he was five years of age his sister, who loved him very dearly, was taking care of him one day. Somehow, the little Peter Julian disappeared while his sister was not looking. Frantic and worried, she began to look all over town for him. After searching for him for quite a while, she went to the church. 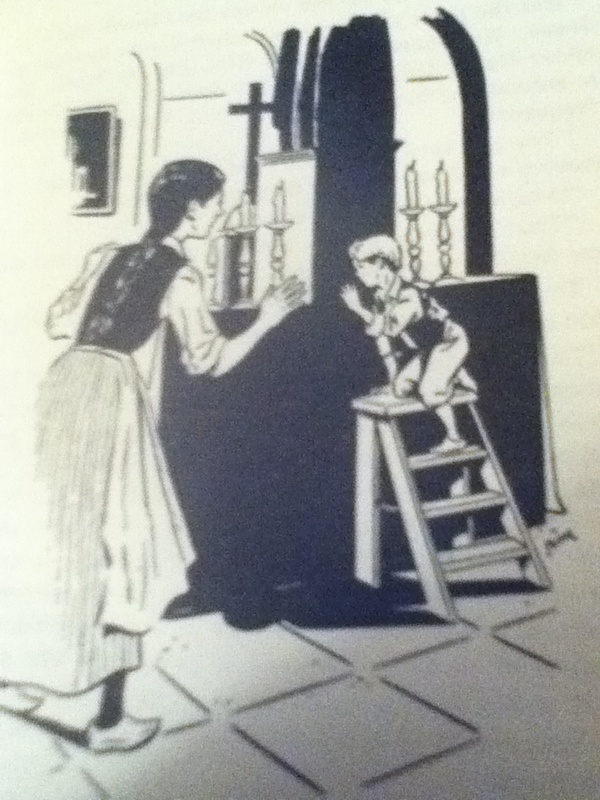 She walked in only to find that her little brother had pulled a step ladder to the Tabernacle and had his ear pressed against it. Upset, she told him that she had been looking for him everywhere and asked him what he was doing. The little boy said to her in reply, “I can hear Him better this way”. He felt a call to the priesthood from a very young age as well. He joined the seminary, against his family’s wishes (most especially his jealous sister). Like any good Saint, he had his battle with various sufferings both of the physical nature and spiritual. He struggled with bouts of sickness until it finally got the best of him and it forced him to return home from seminary, because of its severity. He was able to return, though not at 100%, and was ordained on 20 July 1834 in the diocese of Grenoble, France. Takes a lickin’, keeps on tickin’! After hearing a retreat preached by some Marist Priests (an order dedicated to the Blessed Virgin), he was drawn to join them some years after his ordination on August 20th, 1839. Quickly climbing the ranks, he was named Provincial superior in 1844; a role he has adamantly tried to avoid. His passion for Jesus in the Sacrament of his Love continued to grow as he worked as a Marist. He would travel around Europe giving retreats and missions, but he found himself giving a lot of particular attention to Eucharistic devotion, especially after a particular encounter with Jesus Eucharistic in the procession of Corpus Christi on May 25th, 1845. From there on in, he would be preaching Jesus Christ true and substantially present in the Most Blessed Sacrament to all. Realizing after sometime that there was no congregation strictly dedicated to spreading devotion to Jesus in the Eucharist, he was inspired to begin an order dedicated to this very cause. 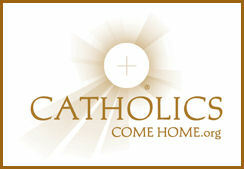 the Congregation of the Blessed Sacrament began on June 1, 1856. The goal of the congregation was to spread devotion to Jesus in the Eucharist, and to spend time in adoration of Jesus exposed in the Monstrance. 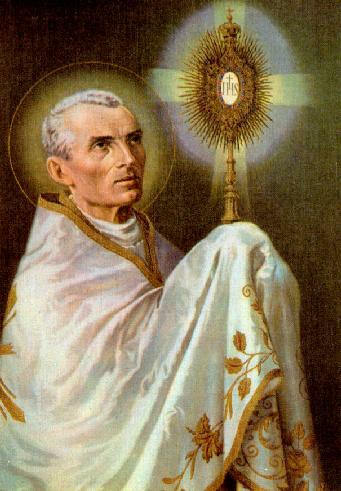 St. Peter Julian Eymard toiled for a worth place for Jesus to be enthroned in the Sacrament of His Love. He sought that all people would be drawn to Jesus in the Eucharist. He was a strong supporter for the First Communion of Adults, which, at that time, was not as common a practice. The men that joined the Congregation and he would form a guard around the Blessed Sacrament around the clock, just to honour the Eucharistic King. He began the People’s Eucharistic League for the Laity to participate in this call to Eucharistic devotion. They official received approval from Rome in 1859. But, just like Christ, who had nowhere to lay His Sacred Head, so too with St. Peter Julian, who found himself and his order without a home on multiple occasions. It almost felt like every time they felt that just as they had put down pegs, the tent was being pulled out from under them. Everything from financial trouble to losing their houses happened to them. Every time, the pain of loss and betrayal stung a little more, because the humble founder’s desire to make a suitable throne for Jesus Eucharistic was that much stronger than before. The old saying, “the more you love, the more you suffer” really rings true in the life of St. Peter Julian Eymard. St. Peter Julian Eymard was also able to help form the Sister Servants of the Blessed Sacrament with one of the women who came to him for direction, Miss Marguerite Guillot, who became Mother Marguertie of the Blessed Sacrament. They too struggled with the same issues he did, which was to find a suitable place for our Blessed Lord. You ever feel like everything you do seems to fail? St. Peter Julian Eymard became so well accustomed with this feeling that I think he was more familiar with failure than with success. Originally, the men that joined the Congregation were unsteady. The person who he would come to call his right hand man abandoned him. His houses were here today and gone tomorrow. One particular story that is relatively unknown is his desire to turn the Upper Room, known as the Cenacle, into a perpetual Eucharistic Adoration Chapel. He travelled to Rome and even received letters of approval from the Pope to do it, but the Patriarch of Jerusalem (the schismatic shepherd that he was) had to offer final approval for this place of the Roman Catholic devotion of Eucharistic adoration to take place inside of his jurisdiction. St. Peter Julian travelled to Jerusalem and met with the Patriarch, only to be denied. The zealous priest got in the boat again and returned to Rome to tell the story to the Holy Father. With a fresh batch of letters approving and encouraging the Patriarch to assist this humble French priest in bringing the Cenacle back to its former glory; that is to say, a place of honor for Jesus in the Blessed Sacrament, as it was with the Apostles, particularly with St. John the Apostle and the Blessed Mother, Mary, he returned to Jerusalem to plead with the Patriarch to reconsider. This came to no avail, and disheartened, St. Peter Julian Eymard returned to Rome. Suffering for the sake of Christ leads to sanctification. Upon his return to Rome, St. Peter Julian found himself in a time of retreat. According to sources, they speculate that he had a moment of mystical union with God. God deigned to give this little, worn out priest a taste of the union that he would experience in the Communion of Saints. This would be the moment when St. Peter Julian Eymard would step into the realm of the mystic and would be the courtyard before he was to enter into what St. John of the Cross called “the Dark Night of the Soul”. Towards the end of his life, this humble Saint would experience what every Saint tends to encounter, which is very hard to describe, and really varies in its type and intensity. To describe the Dark Night of the Soul in a word is “desolation”. He received no consolation in his spiritual life. This is a time of intense purification for the soul that loves God and by God’s grace, God’s purifying love takes the soul through this desert to a deep union with Him. As he was nearing his end, he made a final trip back to La Mure. Suffering however from a stroke, he was now barely able to speak. On August 1st, 1868, the feast of St. Peter in Chains, at the age of 57, while his eyes were fixed on the crucifix he breathed his last. Upon dying, his face took on a unusual feature of joy, as his face now showed his gentle smile. He was later buried in a vault at the foot of the altar in the Corpus Christi Chapel with his desire fully realized as he prayed “Reign, O Lord Jesus! May I by my own annihilation serve as footstool to Thy Eucharistic Throne”. He was raised to the level of Venerable, Servant of God of August 11th, 1908, Beatified in 1925 and Canonized on December 9th, 1962 by Pope John XXIII. ST. PETER JULIAN EYMARD- APOSTLE OF THE HOLY EUCHARIST- PRAY FOR US!